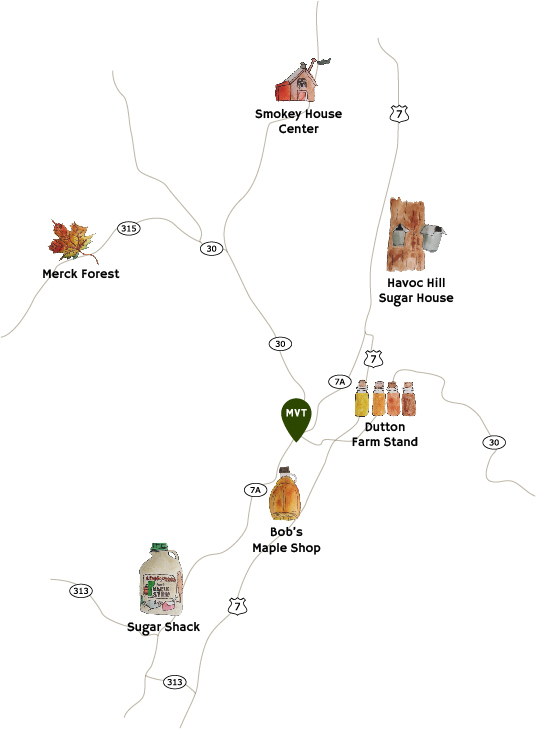 Bob Bushee and his crew collect sap from seven different Maple stands scattered throughout Bennington County. 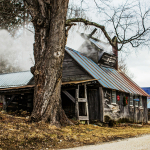 Then they boil it down to sweet deliciousness at their Richville Road sugar house. You can call ahead to plan a visit. 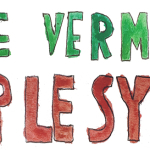 Paul and Wendy Dutton are famous across Southern Vermont for their home-grown produce. 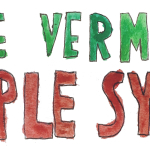 During sugaring season, they tap more than 3000 maple trees to make gallons and gallons of Vermont pure syrup. The Manchester farm stand is open seven days a week from 9 am ‘til 7 pm and if you see the steam rising from the sugar shack, you can stop in for a tour and a taste! 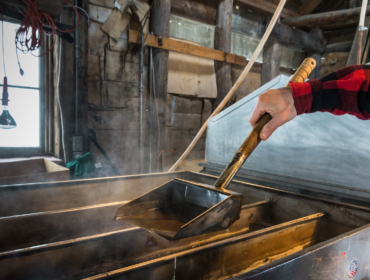 During Maple Open House Weekend (March 24 & 25) you’ll find the sap boiling, musicians playing, local vendors sampling specialty food products and more. Call ahead for a visit! 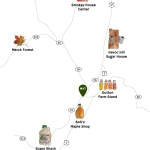 Meet Melissa and Doug Zecher, check out their maple sugar shack and super pretty slice of Vermont. 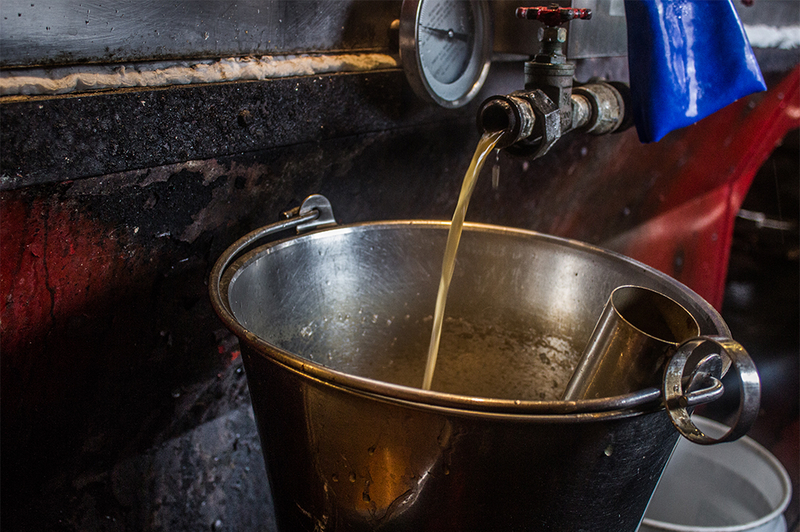 250 of Merck’s 3000+ managed acres are used to produce sap. 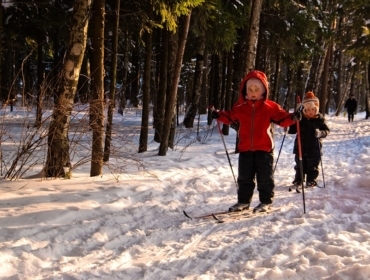 You can visit the sugar house, tour the stands, and learn how trees are tapped. But if you want to experience one of the farm’s longest standing traditions, head to Rupert for Maple Open House Weekend (March 25 & 26) for a farm-fresh breakfast extravaganza… stacks of pancakes with Merck’s certified organic syrup, farm-raised sausages, and eggs… plus wagon rides, a scavenger hunt, and more! Merck is open seven days a week from dawn til dusk and you can find event details on their website. Located north of Manchester in the town of Danby, Smokey House Center encompasses more than 5,000 acres of mostly conserved forest and farmland. 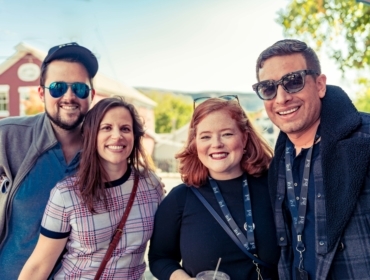 Like Merck, they’re dedicated to maintaining a working landscape that promotes sustainable agricultural and forestry practices while engaging people in meaningful ways. 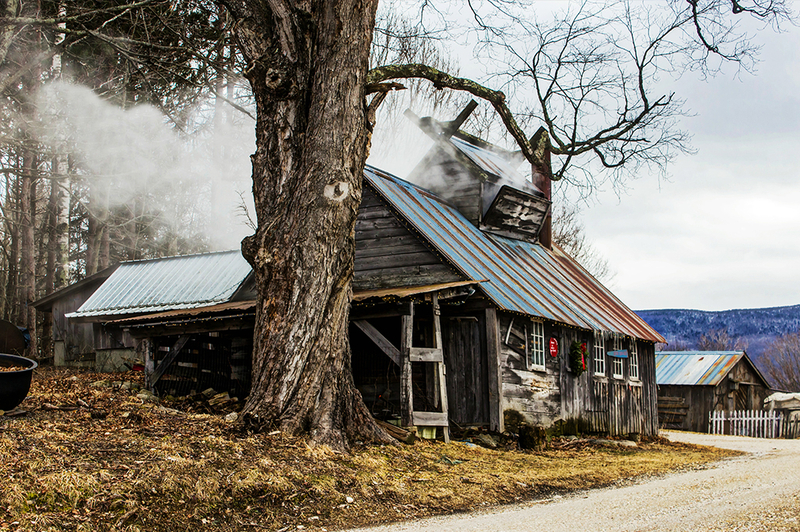 The Stocks from Pink Boot Farm are making Maple Syrup this season and it’s worth a trip out to meet the makers, check out the views, and sample the sweet stuff before you take it home. You can visit Hadley at the Pink Boot Farm Store here in town, too. Find out what’s cooking! 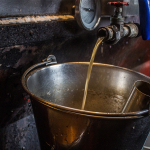 Like many of the sugar houses on our tour, Arlington’s Sugar Shack combines tradition with technology to produce all four grades of Vermont’s liquid gold. 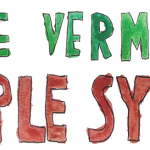 Take a tour, sample hot syrup, and check out the Norman Rockwell exhibit while you’re there. Plus, the season’s first Maple Creemees (our signature soft serve, if you’ve never tried!) and homemade glazed cider doughnuts. From the roundabout in Manchester, follow Routes 11/30 ½ mile to Richville Road. Turn right and follow Richville for 3 miles to Bob’s sign. From Manchester follow Route 30, through Dorset, for 8.2 miles to Route 315. Turn left on Route 315 and follow approximately 2.6 miles to top of hill. The driveway to Merck Forest & Farmland Center will be on the left. Proceed 1/2 mile up driveway to parking area and Visitor Center. From Manchester, follow Route 7 north 12 miles. At Danby, turn west on Mt. Tabor Ave. Then turn right on Main Street, and left onto Brook Road. Follow Brook Road for about 3 miles to Smokey House Road, left on Smokey House Road. At the T, the driveway is in front of you to the left. From Manchester, follow Route 7A south approximately 8 miles. Watch for the Sugar Shack sign and driveway on the right. 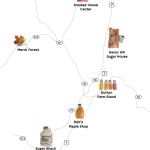 And if you want to experience a little bit more of Vermont on your Maple Sugar Season adventure, sign up for Backroads Discovery Tours “Spring Sampler.” Expert tour guide Sharon O’Connor hosts groups for an easy breezy two-hour jaunt from Manchester through Dorset. You ride along while Sharon shows off the country’s oldest marble quarry, Dorset’s quintessential village center, the “Birthplace of Vermont, and a gorgeous Vermont covered bridge (photo opp!) 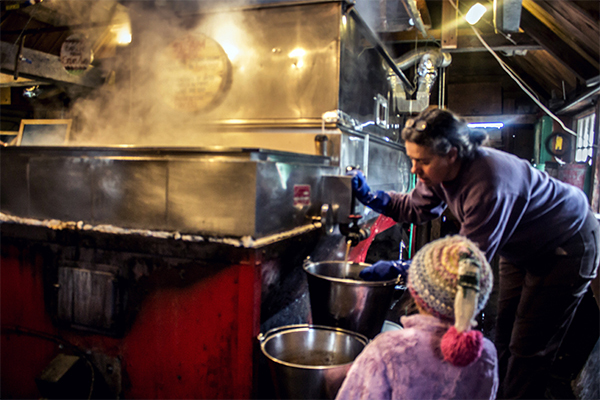 before winding up at Arlington’s Sugar Shack, where the sap is boiling and sweetness abounds! Reservations are necessary.